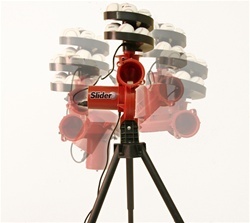 The Slider Lite-Ball Pitching Machine from Trend Sports pitches fastballs, inside breaking balls, and outside breaking balls. The powerful A/C motor throws lite-balls at variable speeds from 15 to 60 miles per hour. The Slider also includes an automatic ball feeder that holds 12 lite-balls. 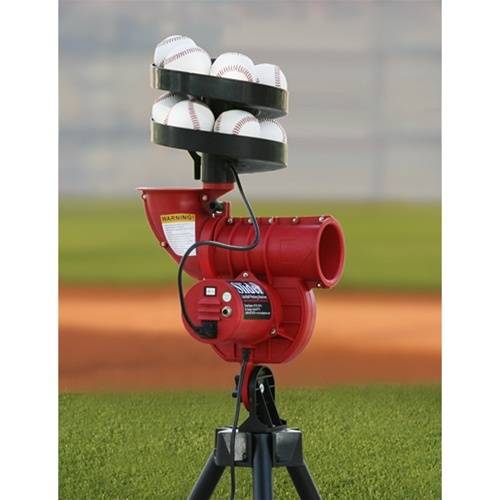 Just turn on the feeder and each ball is dropped into the Slider pitching machine every 9 seconds. Take batting practice without the need for another player. Plug the Slider into any standard wall outlet. You may also consider the optional PowerAlley or Xtender Home Batting Cages and improve your hitting right in your own backyard. Uses Baseball Size Lite Balls Only....Slider Leather or Slider Lite. 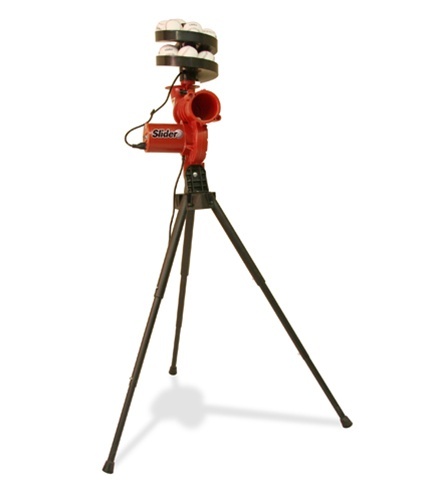 CLICK HERE FOR THE PERFECT BATTING CAGE FOR YOUR HEATER SLIDER!! pitching machine arrived in good condition and in reasonable time. Works great. good buy for the money. Service from PMP was very good.